How do you decide when it is time to think about replacing your roofline? 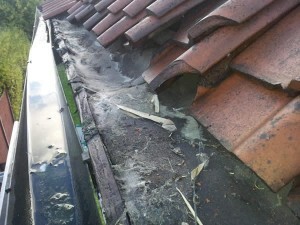 There are obvious signs when your soffits, fascia boards, barge boards or guttering need replacing – or at least need some maintenance work carried out. Choosing a professional company, with a good reputation, to install your replacement roofline makes economic sense as well as eliminating the hassle for you. On this website you will find information about how we go about replacing your roofline and why we are a good choice for you if you are located in the Norfolk area. But, if you are thinking of doing it yourself, please check Why Fascia Replacement May Be Cheaper to get some idea of the cost of roofline replacement. 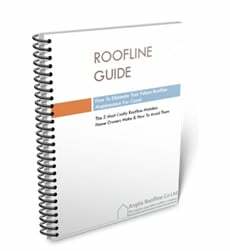 And, take a look at the roofline installation process we use to get an understanding of what replacing your roofline involves. 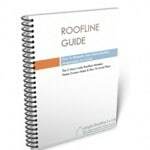 Understanding more about your roofline will also help you make the right choice for you and your property so why not request a FREE copy of our Roofline Guide – it contains interesting details about rooflines. A little professional insight can be very useful so, just to help you out, I’ve included a series of how-to posts on this website so you can undertake some of the work yourself if you are inclined to do so (I’ll be adding more how-to instructions so do bookmark this site and pop back for more help when you need it).